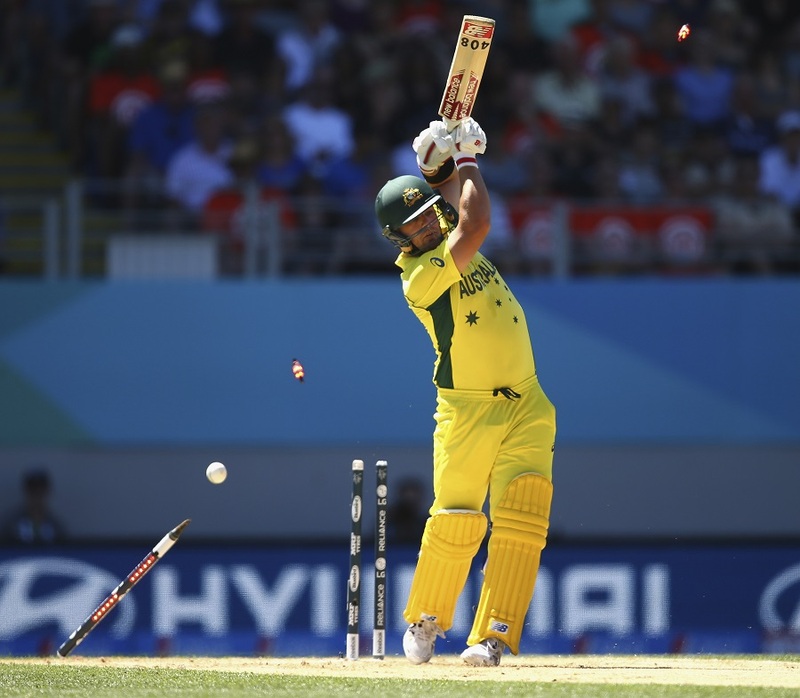 DieHard Cricket Fans: World Cup 2015 - Aus vs NZ, Match of the Tournament? Forget the famous India vs Pakistan rivalry for a moment. Forget the Ashes, England have descended back into the 90s and don't look like coming out. If we are talking cricketing rivalries, surely Australia vs New Zealand is now the most anticipated match up in world cricket. This match was no exception. The Trans-Tasman rivalry has been shelved in favor of the "big three" playing each other endlessly, we are deprived of Chappell-Hadlee battles. The entire nation was humming, four million cricket nuts pumped and ready to dream big, boo David Warner and outplay the Aussies back over the ditch. For once we actually had eleven players capable of the feat, but even so it was an incredibly tough game to pick as both sides are extremely similar. Madness at the top, class in the middle, terrific bowling & fielding and a bloody mindedness to win at all costs. Have we become a warm friendly version of the win hungry-Aussies, is little brother now an identical twin? The match was arguably the most extraordinary world cup game of all time (top three at least). It was one of those rare surreal experiences in sport where the contest is so much more than just a bunch of guys on TV bashing a ball around with sticks. The history, the context, the emotion were all brewed in a perfect cocktail of cricket. 1. Southee Nails Finch - Those first few overs were Zaheer Khan 2003 territory, a nervous wreck spraying the ball everywhere and runs leaking like a sieve. Was Australia going to repeat the 359-2? Southee cleaning out Finch squashed that theory quick fast and got a nation of 4 million sighing with relief. 2. The Old Pro - The bespectacled king finally has the luxury of an actual bowling attack to work his magic around. His spell changed everything as no Aussie managed to make anything of his seemingly innocuous but unplayable balls. They tried to hit him out and that's when the rot began. 3. Thunderboults - Boult brought back the forgotten art of bowling *at the stumps*, hurrying the new batsman with raw pace and subtle movement and cleaning up the woodwork. A massive upgrade from the English and Indian attacks, maybe that's why Australia avoids us? 4. Greatness is Contagious - The first thing I thought of during the build up advertisementwas "I can't wait for McCullum to actually face Johnson". I couldn't have asked for more, BMac was on a mission and he clouted fours and sixes with disdain, bulging left arm or not! Johnson tried to target this smashed arm and even then got pulled away to the fence, now that's raw Kiwi guts. 5. Beware The Wounded Aussie - I warned my fellow couch potatoes that there was a time Shane Bond destroyed Australia only to have Brett Lee issue the same treatment on us for a ridiculous comeback win. You never discount Australia, and this time Haddin played Bevan and Starc played Lee, a demonic spell that had all of New Zealand wincing and covering their faces. 6. 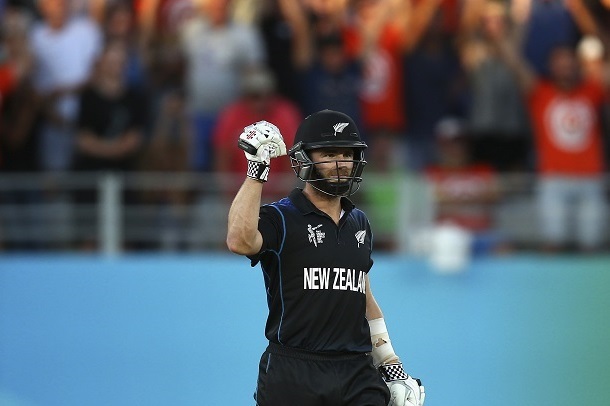 The Final Say - Kane Williamson, our only real class batsman. McCullum is great when he comes off but that won't be all the time, the rest of the batting is a scratchy awful mess in their first few overs especially when facing genuine speed. We wouldn't have reached 100 without The Next Crowe guiding us, remember that. 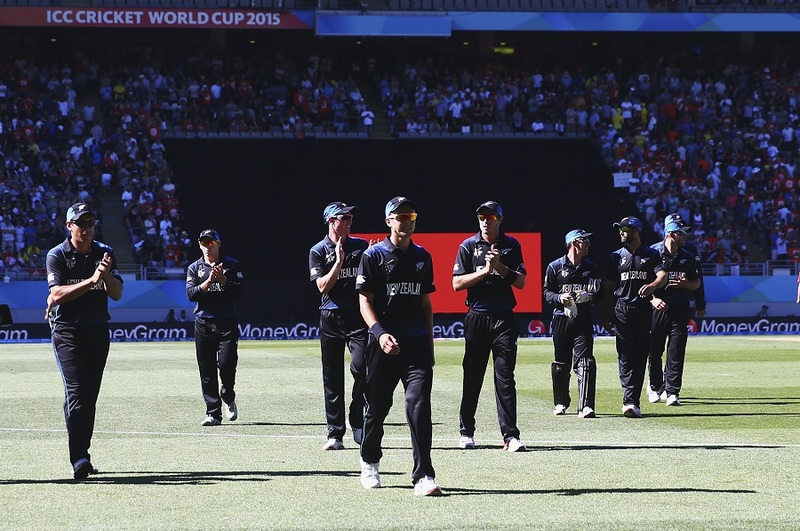 The Cricket World Cup 2015 is alive and well and so far perhaps the best tournament yet. The 50 over game is truly the 'alternative' from to tests and T20 cricket and it's brand of big bats and small boundaries doesn't promote the arts of proper batting technique, hunting 2s and 3s instead of jogging singles, and scrambling in the field to save 20-30 runs per innings. This is how cricket should be played, all three facets with equal importance. Secondly, genuine fast bowling is nothing without accuracy, Boult and Starc are fine examples of how it's done and gave us a timely reminder of the lost thrill of cricket stumps in genuine danger. Now one can only hope for a rematch, if it does happen it will be semi-final or better still the grand final. But a warning to the Black Caps, Australia will not be this sloppy next time.